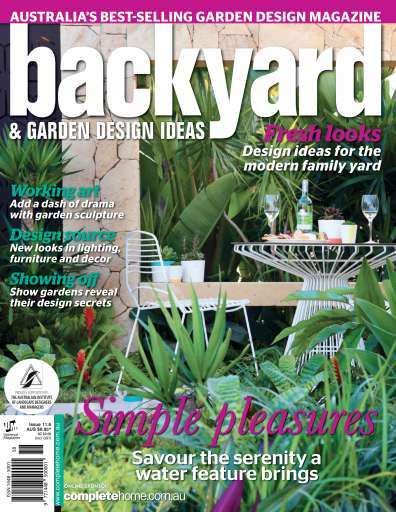 In this edition of Backyard & Garden Design Ideas we shine the spotlight on outdoor sculpture and water features. Sculpture is a great way to personalise your garden. You can use it to add drama, introduce a little intrigue or draw attention towards (or away from) a particular part of the garden. And when it comes to water features, there is no shortage of ways to introduce water in your garden in an artistic or decorative way, from rocky cascades and water walls to fountains and ponds. 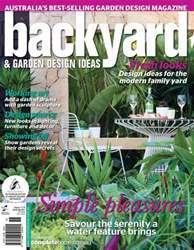 While garden ponds are a traditional favourite that look at home in tropical or formal gardens, water features of myriad styles are readily available from garden centres, hardware chains and specialist suppliers. We also share some highlights from the inaugural Australian Garden Show Sydney by showcasing the award-winning display gardens.